Blancpain presented a 250-piece limited edition timepiece, which at its launch was announced as the first in a series of limited editions. 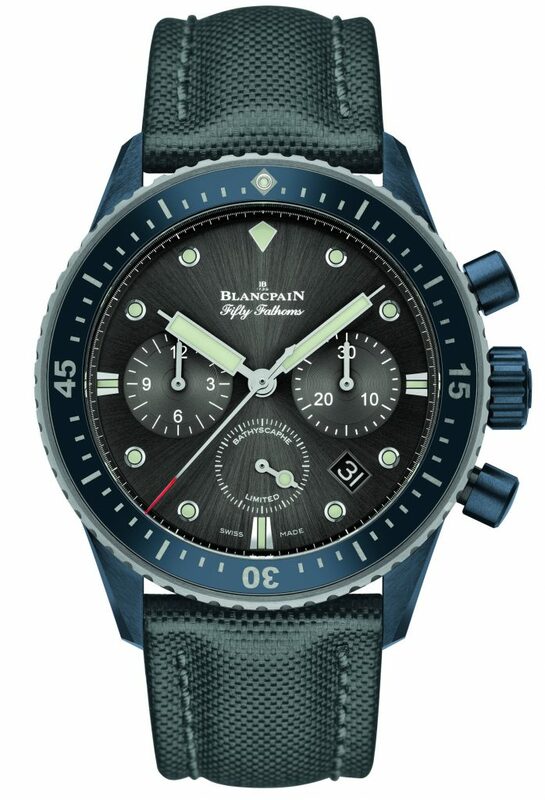 After the success of this first edition and the tangible results of its partnerships, today Blancpain is presenting the second series of limited edition timepieces, the Fifty Fathoms Bathyscaphe Flyback Chronograph Blancpain Ocean Commitment II (BOC II). This new watch expresses the brand’s determination to pursue its commitment to the oceans despite the target being set very high. 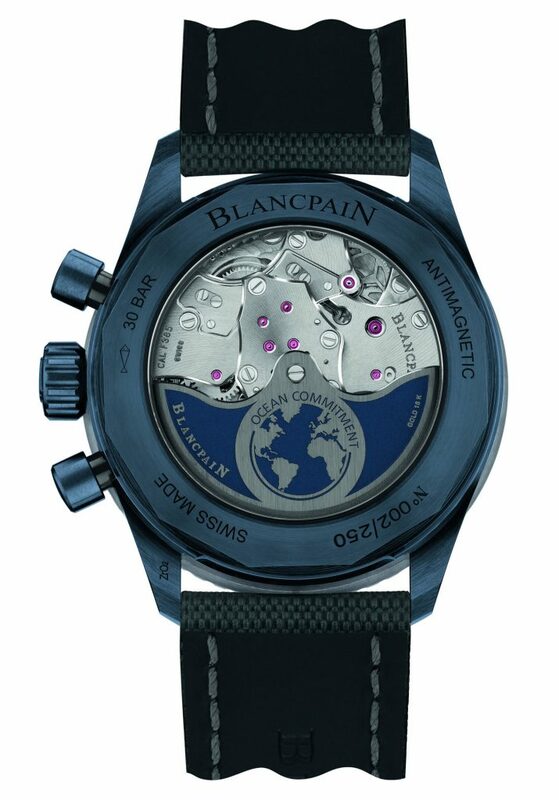 Indeed, over the past two years, Blancpain has co-financed ten major scientific expeditions, celebrated its contribution to doubling the surface of marine protected areas around the world (three million square kilometers have been added with Blancpain’s contribution), and presented several award-winning documentaries, underwater exhibitions, and publications. 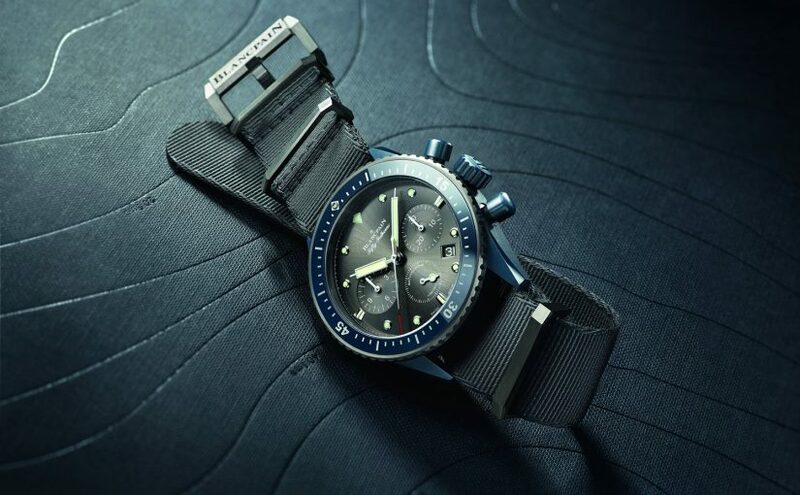 Much sought-after among collectors, vintage Fifty Fathoms watches have been sold at recent auctions around the world for prices three to four times higher than their estimates, frequently exceeding CHF 100,000. These results confirm that this timepiece has earned itself a legitimate place among the iconic watches that have made their mark in watchmaking history. Both beautiful and luxurious. A great pick for a review. Thanks for sharing!